The first time I went to Khayelitsha was on a Sunday afternoon. I had spent the day lazing around, when a friend called to say he was going there to drop somebody off and asked if I wanted to tag along. In a heartbeat I said yes; it had been almost 3 years since I moved to Cape Town, and I had never been to this township that I had heard so much about. I decided not to have any expectations, but to rather let my experience determine my views of the many good, bad, amusing and appalling stories I had been told about Khayelitsha. After dropping our friend off, my friend suggested that we drive around for a while so that I could see the area some more. We made a stop at a park known to the locals as ‘Nandi Nandi’ – it was crammed with scores of people, young and old alike. 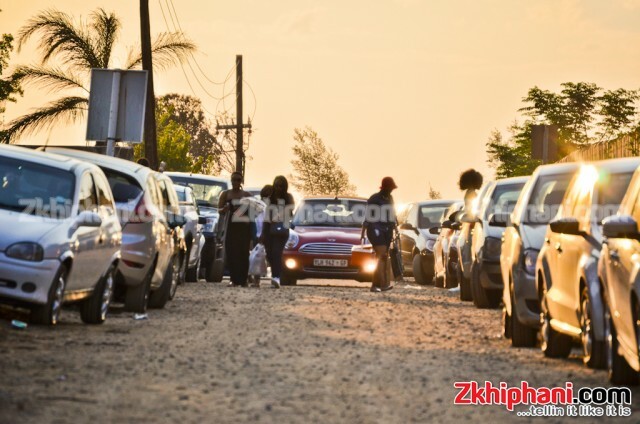 The leitmotif of the occasion was to have a good time; music seemed to be coming from just about every car that was parked, as well as from the local spaza shops, shebeens and chesa nyamas. Adding to the frivolity were all sorts of beverages, mostly the hard stuff, that just about everyone seemed to be indulging in; young ladies in high heels and trendy outfits strutted about seeking attention, while the men looked on with covetousness. These were my peers … South Africa’s future. I struggled to adapt to the atmosphere at Nandi’s. As someone who grew up in a township, this experience was not new to me, I grew up attending many similar occasions. What was concerning however, was the number of young people I saw, most of them barely out of adolescence, indulging in such activities on a Sunday and with only a few months left before they were due to write their final exams. I began to wonder about the backgrounds of these youngsters, their dreams and ambitions, what success meant to them, how much they valued education, who their role models were…It was clear that most of them were living for the here and now; it was like their ability to look ahead and see a brighter future for themselves, one of work and stability and prosperity, was gone. Many youngsters faced with few opportunities have resorted to this kind of lifestyle to forget their problems. I should know, I was once in their shoes. After matriculating, I left for Johannesburg with the hope of studying film, but things did not go as planned. After several abortive applications to enrol in film studies I decided to go back home to get a job so I could keep myself busy. Unfortunately I did not succeed at this. As months passed, with no job or anything else to keep me busy, boredom got the better of me and I was desperately seeking some sort of amusement. Luckily, I didn’t go through this experience alone; for some odd reason, all my close friends were also sitting at home. Some had dropped out; some were upgrading their matric results, while others couldn’t get enrolled in their preferred courses. While our friendship grew stronger, the reality is that we were starting to get too comfortable with a lifestyle of drinking, smoking and having a good time – all in the name of something to do. These habits grew stronger every day, and my life was heading in the wrong direction – I had to change before it was too late! In truth, some of my friends and I were growing tired of the routine, bad habits and especially the scolding we got from our parents! I suggested to one of my friends that we should start a business to keep ourselves busy. We started selling hot dogs to local school kids. This venture made a huge difference in many ways; I was busy and I was getting something in return, and my bad habits were slowly fading away. I had become a businessman and was constantly busy: merchandise needed to be bought, rolls needed to be prepared; marketing had to be done … all these tasks replaced the many hours of indulging in useless activities, with something useful and productive. I’m of the opinion that many of our inactive youths get involved in crime and dangerous social practices because they simply don’t have anything to do; they don’t have jobs, nor are they involved in any worthwhile activities. Consequently boredom gets the better of them and they resort to mischievous habits to get by. With jobs being scarce, I believe that youth entrepreneurship could be a silver bullet to our unemployment challenges. In fact, in response to the growing youth challenges and unemployment crisis in Europe, the European Union has adopted the ‘2020’ growth strategy, which places entrepreneurship at the heart of Europe’s drive for growth and employment. They have moved away from the idea of relying on existing companies to provide employment for their young people; instead, entrepreneurship and self – employment are now the more attractive options -a lead South Africa should follow. There are limited options available – the National Youth Development Agency is one of the few institutions to finance youth ventures. But obtaining the funds is often a slow and inefficient process. This needs to improve. Target tax and businesses incentives, so they support young entrepreneurs in scaling their businesses. Develop tax incentives to encourage youth job creation across industries and sectors. Antonites says many young people have two core entrepreneurial skills in their favour that are critical to success: creativity, and a willingness to take risks. Other business skills can be acquired through training, as long as this is very practical in nature, she adds. Initiatives such as GAP (www.gogap.co.za ) and Lulaway (www.lulaway.co.za ) have created an opportunity for both graduates and youths not just to gain work experience, but also to access to training, resources and tools. Our country needs to support wholeheartedly initiatives like this. As a nation, we should be fostering hubs, incubators, accelerators and networks to bring the best talent together. Start early with outreach programs aimed at young people while they are still in school. Initiatives such as SA Teen Entrepreneur Foundation and Y.O.U.R.S (Young Opportunist Using Resources Sufficiently) are amongst those that are fuelling a culture of youth entrepreneurship in SA. I believe that entrepreneurship is one way that youth everywhere, and especially in underprivileged areas, can become empowered to contribute to more a sustainable economy and a better society, and to also reach their goals. In closing, our youth need to stop hoping for something better to happen, but instead take matters in their own hands if they want to create better lives for themselves, and entrepreneurship could be the way. However, to achieve positive results, our government must create a more nurturing environment for young entrepreneurs.